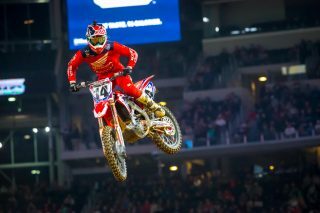 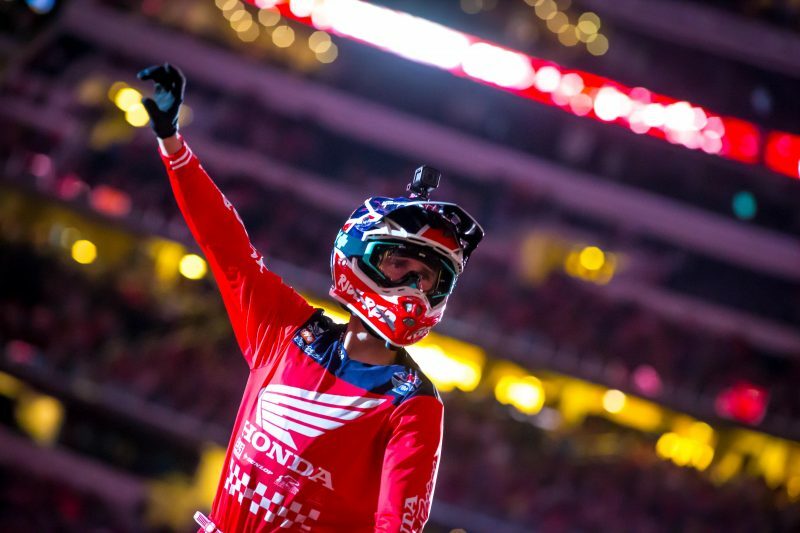 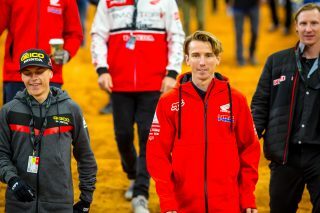 On Friday, Ken Roczen underwent successful surgery at the Steadman Clinic in Vail, Colorado, for hand injuries sustained in a crash in San Diego the previous week. 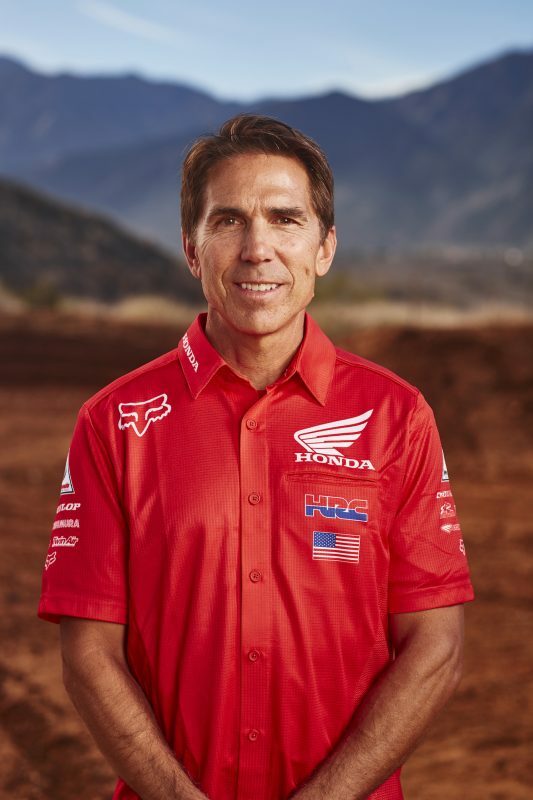 Dr. Randy Viola cleaned up a chip at the base of the thumb and hook of hamate, repaired the fractured second metacarpal with a plate and screws, and also repaired torn ligaments. 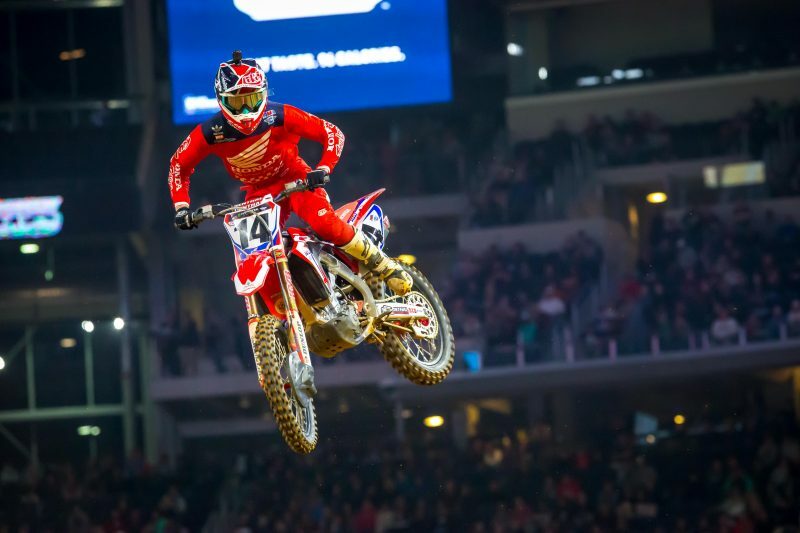 Roczen’s initial prognosis is six-to-eight weeks, but he will be reevaluated throughout his recovery, and he plans to attend several races and dealer appearances. 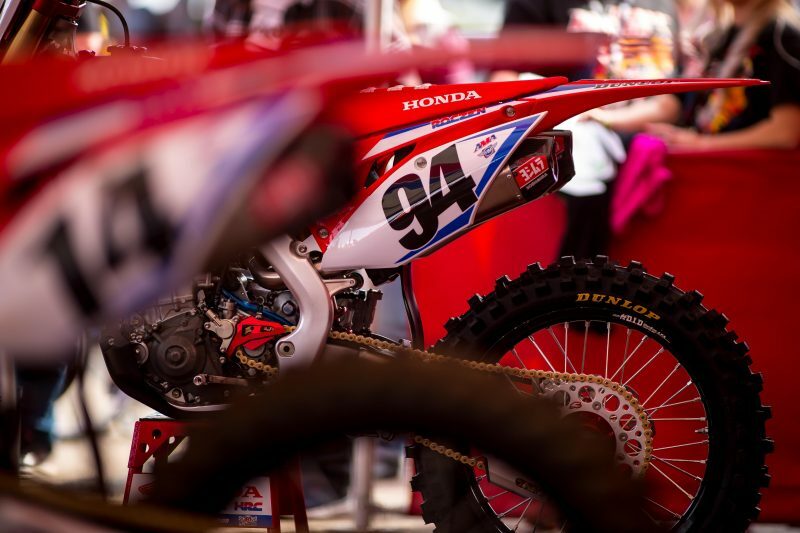 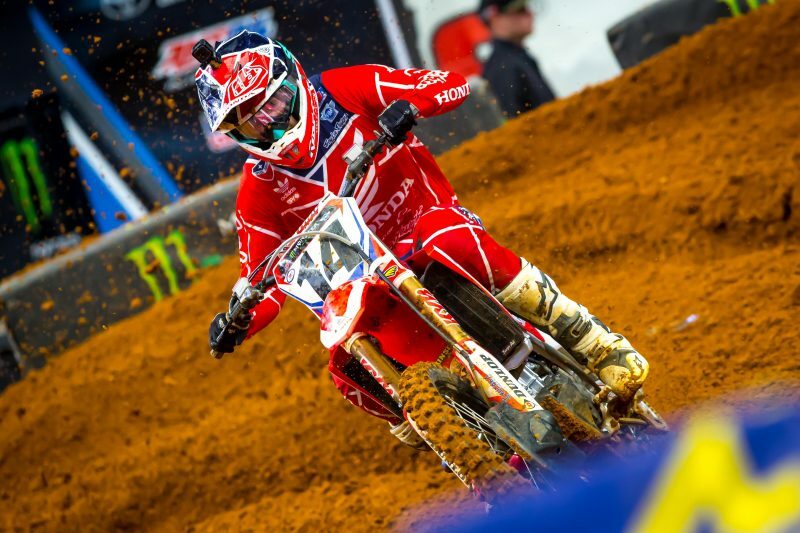 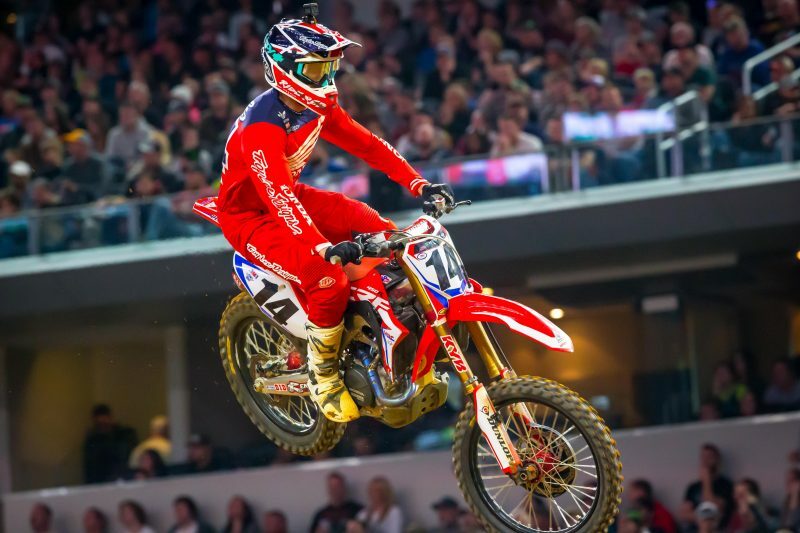 Everyone at Honda wishes Roczen a speedy recovery. 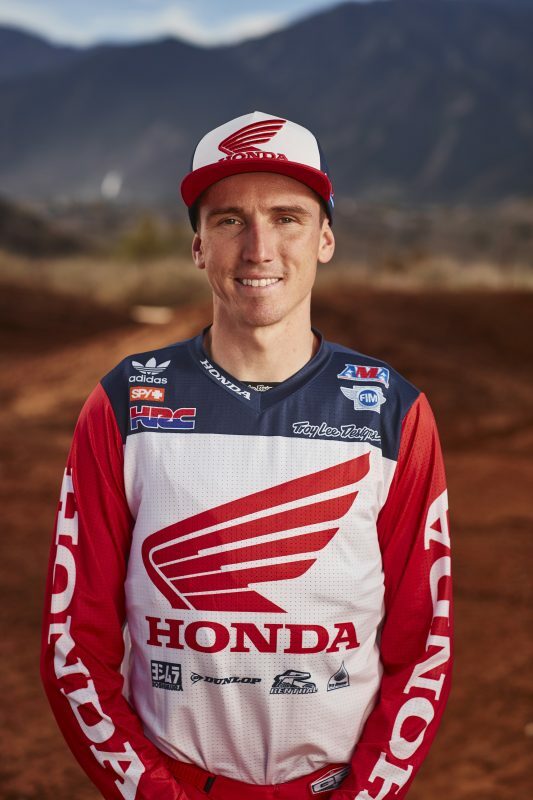 On the eve of race day, Team Honda HRC’s Cole Seely joined GEICO Honda East Region riders Jeremy Martin, RJ Hampshire, and Cameron McAdoo at Al Lamb’s Dallas Honda, where they spent time signing autographs and visiting with fans. Seely was slightly off the pace during the daytime qualifying practice, securing the eighth-fastest lap time at 49.330”, posted in the second session. 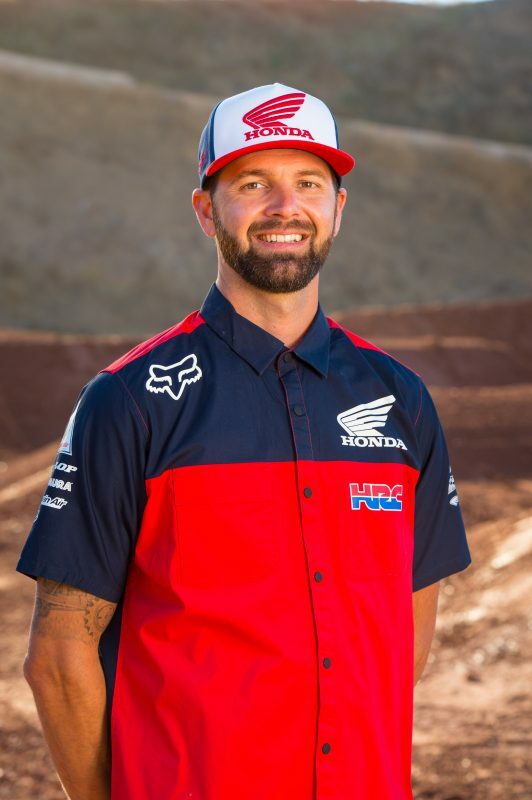 He was followed by MotoConcepts Honda’s Justin Brayton, who was ninth with a 49.347” lap. Slotted in 450SX heat 1, Seely got off the line to a top-five start but was caught behind a downed rider on the opening lap, sending him toward the back of the pack. 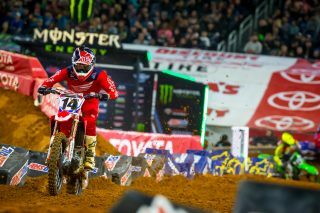 Seely put together an impressive charge through the remainder of the six-minute-plus-one-lap race, making his way up to third by the end.